Savory ingredients are a refreshing counterpoint to the sweetness that characterizes many mocktails. 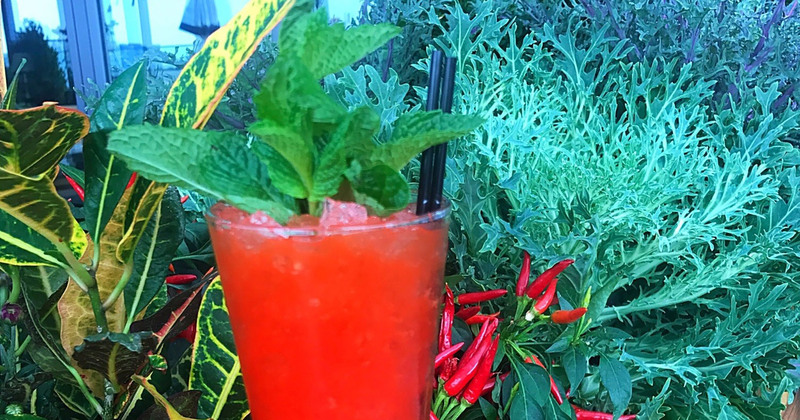 Here, bartender Gen Longoria combines red bell pepper juice with a chili-spiked strawberry syrup to create a well-balanced drink with spicy, sweet and savory notes. Add bell pepper juice, syrup and lime juice into a mixing tin and shake. Pour into a glass; top with seltzer and garnish with mint.